When searching for living room colors, don’t be discouraged by the multiple options. Lots of choices mean lots of opportunities. Some colors work well no matter what you paint them in, while other colors are more pleasing in particular room sizes, with certain types of trim, or particular furniture colors and patterns. Either way, here are some options to help you make your decision. If your living room has vaulted ceilings, you will want to paint your largest wall with an accent color, which will bring attention to it. If you have art or photos on that wall, your eyes will be drawn to them, first because of the wall color, and second because of the artwork itself. If you have dark stained, old-fashioned trim, it’s safe to paint your walls white. If your stain is a lighter shade, almost orange, avoid white paint, as well as beige. You should also avoid yellow. A lot of people gravitate to yellow because of its warmth. 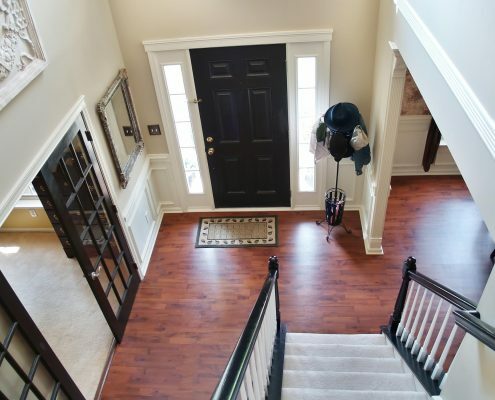 Unfortunately, with wood trim and floors, yellow creates too much warmth and then everything blends together. You want to choose colors that help you highlight the wood and bring it to everyone’s attention. Colors that go well with wood trim include green, grey, cream, and teal. Green: There are many green options from which to choose. You can start by looking at very light colors, with only a hint of green, or go bolder and aim for bright shades. Olive-toned greens are the best with wood trim because they coordinate well with red, brown, and blonde woods. Green is a fun color with lots of shade options, so you can’t go wrong. Gray: Gray is always a good color choice, whether you have wood trim or not. It looks good with softer colors of wood as well as weathered wood colors. If your trim is black, gray is an excellent alternative as long as you use a shade that provides contrast. Choose a tone that ranges from light to medium. Anything darker will fade away behind the black accents. Grays are a favorite because they are incredibly versatile and go with everything. You can even pair up gray with pretty much any other color. Cream: A shade of cream is a great neutral tone that is warm, but not so warm that it takes the attention away from your wood floors and trim. It works well with dark wood as well as light, and you can brighten up the room with other objects, such as brightly colored pillows or artwork. Turquoise, Aqua, or Teal: Turquoise, aqua, or teal are color options that are extremely popular right now. If you think they are too bright for you, you have multiple opportunities to incorporate them into your living room. You can choose to paint one accent wall bright teal, turquoise, or aqua color. 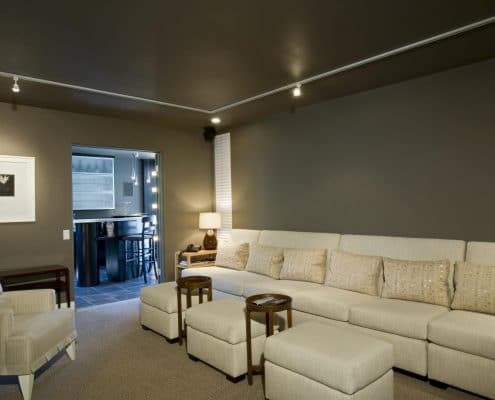 An accent wall will make your living room look larger and more inviting than it is. You can paint the other walls in the room a more subtle color, such as gray or tan, and then put artwork, pictures, or other decorations on the accent wall, giving it a lot of contrast to the rest of the room. These blueish-green colors go well with coral, cream, navy, pinks, and gold or brown tones, so if you can handle the bright for one wall, you can choose other subdued colors to help even out the room. Red or Orange: For rooms with lighter trim and floors, choose darker, earthy shades of red and orange for your walls. The darker colors will bring attention to the lighter wood color. Try to avoid picking colors that match closely with the wood, as this will make it all but disappear. Most of the colors mentioned above work with white trim, as well as black. With painted trim, you are open to a whole world of colors. Using the options specified, it is up to you to choose which shades you want for your living room colors. Some people need light and airy, while others wish for brighter colors. What color you choose depends on you and your style. If you are going for elegant, yet diverse, choose a palette of turquoise, jade, green, and yellow-green, giving your living room a sophisticated look while allowing you to have the brightness you want. Paint ideas for the living room can include a muted shade of teal or green, which brings your attention to the artwork or pictures on the walls, as well as the brightly colored rugs or pillows in the room. If you prefer a more neutral room, choose shades of brown or tan for your walls. Muted shades of greens, reds, and golds work for accessories such as lampshades, pillows, and coffee table centerpieces. If you want a more beachy feel in your living room, go for cool blue or cream. If you choose a cream color for your walls, put up blue drapes to add contrast. Furniture can be cream or blue, as well as a dark brown. 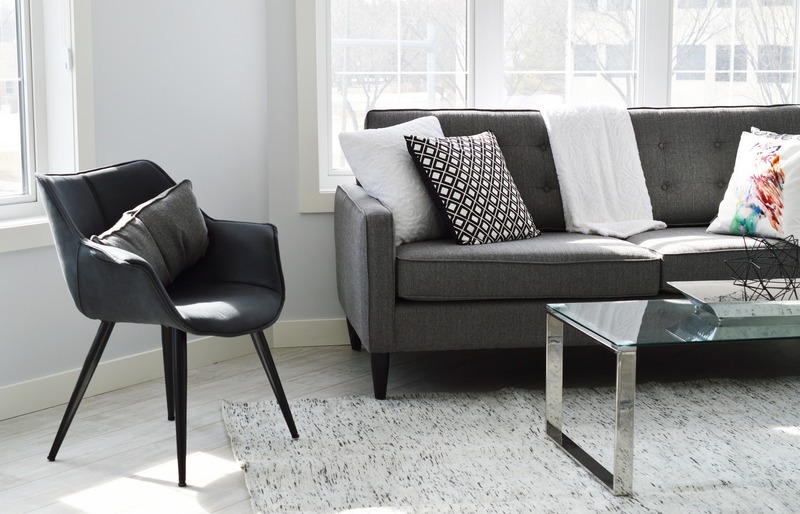 If you like dark walls, make sure your furniture is a cream color, keeping the room from looking too dark. Wall colors can be a dark gray, or even navy blue or purple. Drapes or curtains should be lighter in color, or even two-toned, having a darker color on the bottom to match the walls or pillows. 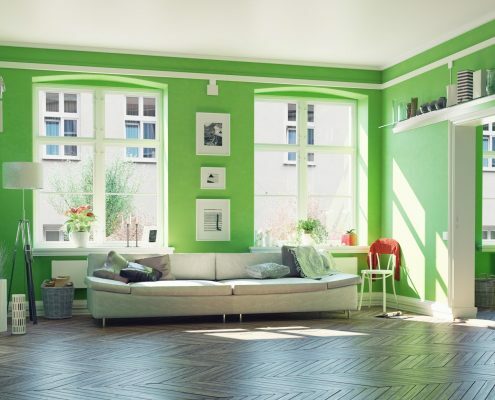 If you are looking for a color palette that is bright and cheerful, the best color for your walls is a soft hue of bright green, such as lime green or mint, with accents of pink, such as fuschia, or a fun yellow or blue. If your furniture and taste ranges towards more classic designs, paint the walls a lighter color, such as cream or a very light tan. You can add color with a red patterned area rug and fabrics that are red, cream, and gold.